gain financial stability through year-round employment. Our staff separate residential waste and construction and demolition waste into different streams for further processing and removes materials that would create problems for down-stream processing. In doing so, we are an integral part of Edmonton's waste management system. 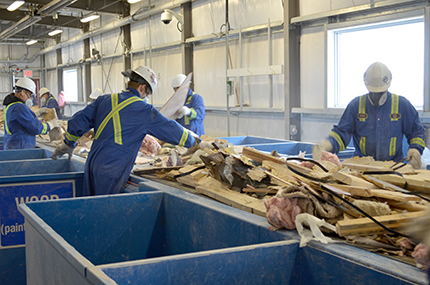 Quality One operates from the Integrated Processing and Transfer Facility at the Edmonton Waste Management Centre, located at Site 480, 250 Aurum Road NE. provide their own steel-toed boots. Alberta Blue Cross coverage (after successful completion of a 3-month probation period).